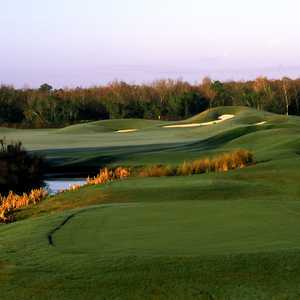 MIMS, Fla. -- Located just minutes from the beach on the Space Coast of Florida, the Perry Dye-designed Indian River Preserve Golf Club meanders through sand dunes and wetlands, setting up a golf experience that's unlike anything else in the region. Holes like the 18th at Indian River Preserve Golf Club are interesting and challenging. No two holes are alike on this course, which can be stretched to 7,146 yards. "It's got a lot of character," said John Crocker, director of operations. "And it's getting a lot better." The only drawback, perhaps, is that in its original configuration, the front nine played directly into the rising sun, making it difficult to follow golf balls off the tee. So the nines were reversed to make that easier. As a result, however, golfers now play the more difficult nine first. That may seem anticlimactic, or perhaps too tough a start. But really, you can look at it another way: Survive the front nine and you've got a chance to post a really good score. Even such, it's not like the back nine ends with a whimper. The 18th, in its current configuration, is the no. 2 handicap hole on the course and with good reason. The tee shot on this 445-yard par 4 is anything but easy. And the approach is even harder, especially with a less-than-perfect tee shot. Throw in some wind, and it really becomes a bear. The approach calls for a shot over a hazard to a green that's bordered by wetlands and bunkers left. 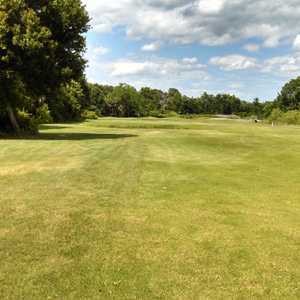 The toughest hole at Indian River Preserve Golf Club, however, is probably the fourth. Hazards off the tee, woodlands right and a lake that envelopes much of the green make this 455-yard par 4 the No. 1 handicap hole on the course. "The tee shot is intimidating, to say the least," Crocker said. "Then you have to commit to the approach." The par 3s at Walkabout are particularly interesting and different. They range from 168 yards to 214 from the tips. 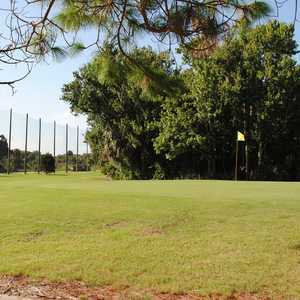 Located just minutes from the Kennedy Space Center and easy driving distance from Melbourne, Orlando and Daytona, Indian River Preserve Golf Club provides a nice escape from hectic everyday life. With no homes on the course, all you see, pretty much, is nature and one terrific golf hole after another. The Tif-Dwarf greens roll well and conditioning is well above average on this delightful play. The facility boasts excellent practice facilities, and lessons are available. EDITOR'S NOTE: Indian River Preserve Golf Club was formerly named Walkabout Golf Club.